Here's a dirty little tidbit about the Russia that emerged from the dark days of the Evil Empire, when the country was called the Soviet Union. It is that corruption has become almost a way of life. The Russian underworld, which was no slouch during the Soviet days, took off after the communist government faded into history in 1991.
Who did that underground economy help? Some have suggested that Russian President Vladimir Putin has used his ties to the corrupt underworld to build an unmatched power base. Frontline is taking a look at Putin's rise to power and his use of it during his time in the Kremlin. 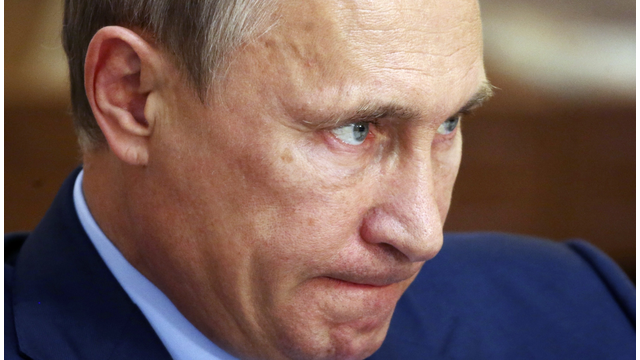 Putin once ran the super-secret KGB, the Soviet spy agency. He knows, therefore, how to keep secrets. Furthermore, he knows how to make sure others keep secrets as well. But that hasn't stopped the rumor mill from churning out tales of Putin's ties to corrupt elements within Russian society. As Frontline notes, Putin's power has grown on a scale that some have compared to the days of the czars, who ruled imperial Russia with the heaviest of authority. President George W. Bush once famously remarked upon meeting Putin that he was able to see the man's soul by looking into his eyes. Critics of the Russian strongman/president have suggested he doesn't have a soul. Indeed, the man's relations with the United States have worsened considerably in recent years as he has embarked on military intervention in Ukraine and has threatened even more crackdowns if other former Soviet republics get too cozy with western European alliances, such as NATO. Frontline airs at 9 p.m. Tuesday on Panhandle PBS. The latest special from the award-winning documentary series is bound to let us know just why we should be wary of this fellow.